I was sitting at the computer trying to write down a couple of recipes but the noise from the drums seemed so loud my brain could take no more, and suddenly it stopped. There was silence no double pedal madness of the bass drum, no more China crash cymbal. That is my least favourite of the six cymbals. It is not named the crash cymbal for its sweet resonating hum. My son, Skater is a drummer in a thrash metal band and is quite a diligent when it comes to practice. He has commandeered the spare room in our old rented house for this and it is alarmingly full of single mattresses for soundproofing so we don’t become unpopular with the neighbours. It was Friday night, and I planned to take it easy a bit of cooking a bit of writing……. That was the plan, but the silence was suddenly broken again by a furious knocking and jangling of a locked door handle. “Mum, hey Mum are you there? I can’t open the door”. Skater was hot sweaty and ready for a shower but he couldn’t budge the door handle. It turned but it was disconnected from whatever is inside that makes it tick, a little bit like me and my nights plans. He was locked in. Meaning he would need help to get out or he would probably, starve maybe die of thirst and possibly not stop disturbing me till he escaped, damn it!! So I pushed the Lamb cutlets aside for later. After trying to put screw drivers and credit cards ( it works in the movies) down the side of the door to open it we stopped short of running at it shoulder first. A broken door would not be ideal even if there was someone stuck inside. There was a window but it had a large fly-screen screwed to the outside. Unless I helped him out there was going to be no Friday night, and no son ………. After some time I managed to unscrew the fly-screen and he climbed out of the window. We decided that we’d ring the Landlord the next day. Then I promptly forgot and went shopping. I got a phone call in the early afternoon. …….Why is it that they don’t tell you these things before you have to panic and call the Landlord with some stupid garbled story about your son being stuck and him not telling you about the gig and you not having much a time and PLEASE can you help….NOW before it’s too late. To the Landlords immense credit, he left what he was doing and came over to feverishly pick the lock. Well, he actually had to hack at the door a bit. It was looking touch and go, but Skater was in the car and ready to go to the gig as we raced the finally freed bass drum from the house to the back of the car and he sped off, as I stood in the drive shacking my head. As you probably have worked out, we did get dinner that night. 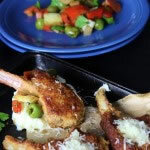 The actual Parmesan Lamb Cutlets I was planning to make. 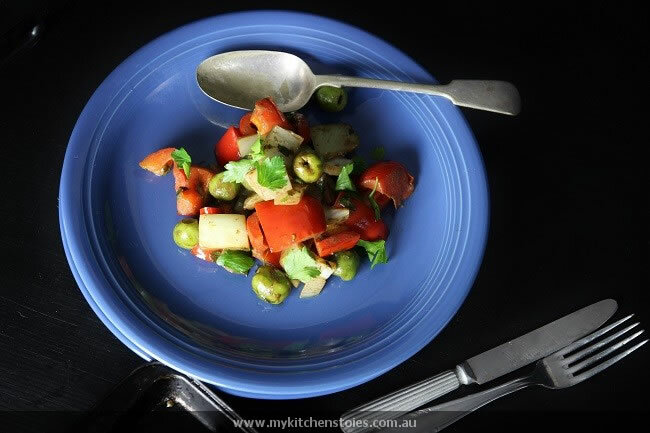 Warm Red capsicum and Fennel salad. Heat a nonstick frypan. Add 2 Tablespoon of olive oil and toss the onion till starting to soften. Add the fennel and stir and saute till starting to brown. Add the red pepper and toss and stir till the vegetables are starting to get nice little scorched brown patches. Pour them into the bowl and stir to coat. Mix the crumbs with the grated parmesan. Dip the cutlets in flour. 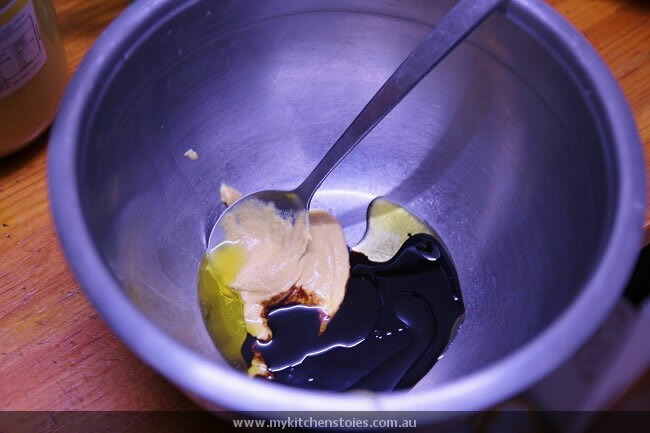 Mix the egg with the 100 ml of milk and dip the cutlets into this eggwash. Then roll in the crumb. Heat a frypan with 250 ml oil. Shallow fry the cutlets till golden and then drain on paper. 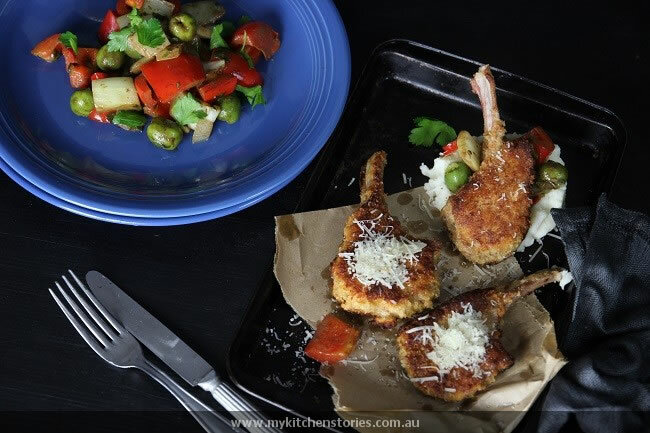 I’m not a lamb cutlet eater really but crumb them and I can’t get enough! I think you should be impressed that he was ‘organised’ an hour early! Oh he is quite often organised ahead of time really. The parmesan crust sounds fantastic. What a Friday night! Hope those delicious lamb have brought you some comfort. 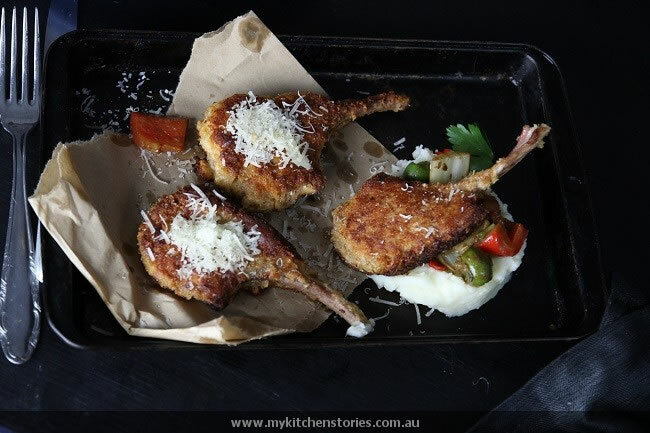 I am going to need more than 1 – 2 of those lamb cutlets – Delicious! Lamb and fennel are two of my favourite things – thanks for putting them together for me! Like threading a camel through the eye of a needle Tania! I’m so glad the landlord came to the rescue. 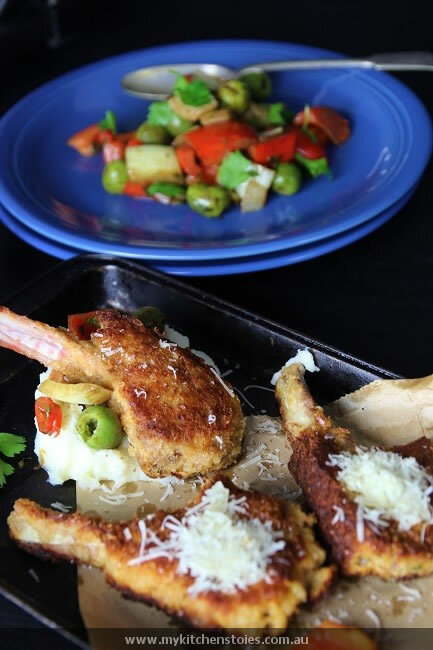 A fabulously tasty dish and wonderful combination! I’m glad you were able to finally get this meal because it looks toooooo good to miss!